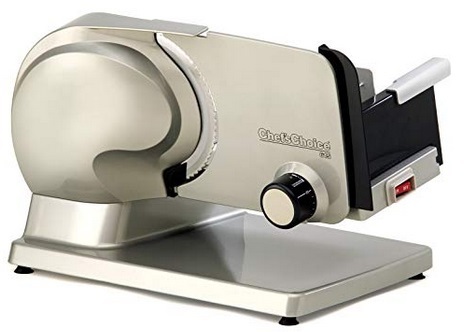 The Chef’sChoice 615A Electric Meat Slicer Features Precision Thickness Control and Tilted Food Carriage for Fast and Efficient Slicing with Removable Blade for Easy Clean, 7-inch, Stainless Steel marked down to only $98.99 + Free shipping as one of today’s Deals Of The Day. Note: The price is accurate as of the time of posting, but Amazon’s prices are always changing, make sure to check the price shown on Amazon when you are checking out as that will be the price you are charged! Save on Select Rina & Dina Toys and Games! Disclaimer: KollelBudget is an affiliate with many of the merchants posted about here on KollelBudget. This means I will be compensated if consumers choose to utilize the links located throughout this site. KollelBudget is a participant in the Amazon Services LLC Associates Program, an affiliate advertising program designed to provide a means for sites to earn advertising fees by advertising and linking to amazon.com, or endless.com, MYHABIT.com, SmallParts.com, or AmazonWireless.com. Please do not copy or repost any articles, deals or photos from our website without obtaining prior permission. entities included within the post.